We help people feel great in their new city. There are a lot of destination choices to make. Let's GO! GO is a top-rated destination service provider for today’s mobile workforce. Founded in 1998 on principles of extraordinary service, thorough communications, and passionate professionals, GO has a rich history and an impressive track-record of providing world-class destination services. As a trusted partner, GO delivers destination services for employment candidates, new hires, transferees, assignees, and interns from entry through executive levels. 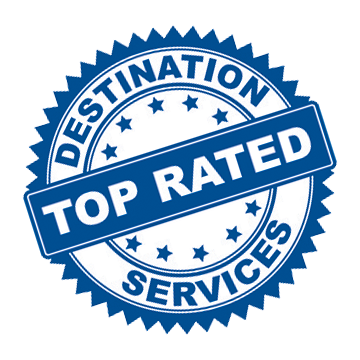 As a top-rated destination service provider, GO offers consultants who are well-trained and vested in service outcomes and results. To ensure the finest destination service experience, our staff of consultants are carefully selected, thoroughly trained, and meticulously managed. Great communication is vital to the success of destination services. At GO we place valuable, actionable information and status updates at your fingertips. When it comes to destination services, associates on-the-move can take comfort in knowing that they already have a friend in the city! GO helps relocating associates make informed decisions, get connected with the new city, and focus on job performance more quickly. You receive customized reporting and summaries of ratings, reviews, performance feedback, and much more. You will have the information you need at your fingertips. Associates on-the-move are contacted quickly to coordinate and tailor services. In the fast-paced world of relocation, why settle for anything less? You stay informed every step of the way with status updates, schedules, and logistics. Receive information when and how you want it. Services are entirely customized based on a Needs Assessment. This allows us to provide you with the most value per authorization. Initiate services easily and conveniently. For convenience, GO operates 24/7 every day of the year to ensure availability to you and your associates. With GO, you are covered in all US destinations and many areas throughout the world with our expansive and growing network.